Welcome to Cinema Sound Off! My good friend, KM Wilsher and I are heading out to the movies each month and letting you know if you should spend your money on the movie or not. Okay, I was totally misled. From the movie previews I saw on TV, I thought this movie would be more like the Jason Bourne-type action movie. Sure, had I read the synopsis on IMBD like a good movie-goer should, I would have figured it out. Yeah, note to self, READ THE SYNOPSIS on IMBD . . .
I’m so not a war movie fan, and this was so a war movie. I have to give credit where it’s due, though–great acting and great action scenes. And yeah, I meant to put that in CAPS. . . I almost got sick, like, twice. It’s got the whole The Blair Witch Project bouncy camera issue going on. Seriously. I had to look away for a majority of the movie for fear barfing my brains out. So, if you like war movies and like jiggly camera views . . . then by all means go watch it. I have to give the movie TWO tickets, just because the acting was fairly good and the action scenes pretty realistic. Be sure to head over to KM Wilsher‘s blog for her review. Have you guys seen the movie? What’d you think? 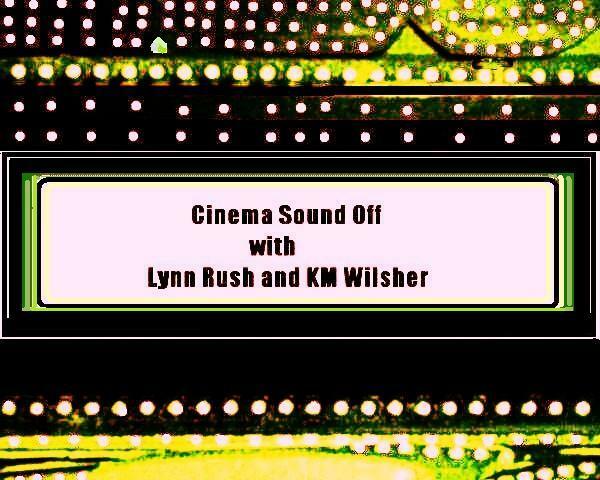 This entry was posted in Uncategorized and tagged Cinema Sound Off, Cinema Sound Off, Green Zone, KM Wilsher, Lynn Rush, Matt Damon, Movie Revies by Lynn Rush. Bookmark the permalink. I already saw the movie before reading this post and I have to agree mostly with your points. Personally I am fine with war movies but don’t understand why camera jiggles are necessary. I probably wouldn’t have seen this, but since you mentioned the jiggly camera thing…definitely not seeing it now. I get severe motion sickness for movies like that…*sniff* Thanks for braving the theater on our behalf! WAR’s definitely not my thing & to cap it off neither are the juggling camera angles! Haven’t seen it – wasn’t on my list. Glad it wasn’t! Thanks for watching it for me. I like your idea here, and the “ticket” grading system. Have fun! I’ve heard good and bad about this movie, but no way can I endure camera action like Blair Witch. I had a headache for days after watching that. Hello! Honest review, Lynn :0) Yeah, next time IMDB first.